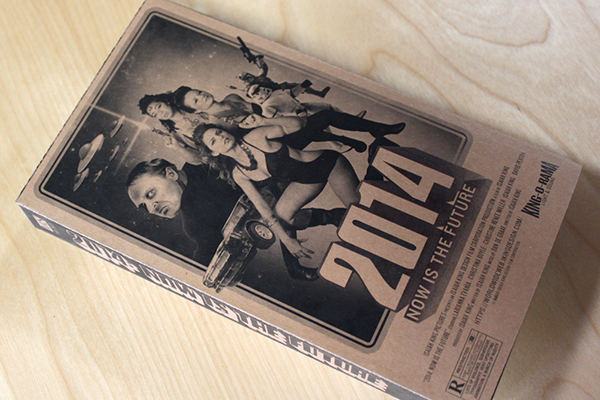 The theme of this year's client appreciation gift was the future and creative collaboration. The gift took the form of a campy sci-fi movie trailer delivered in some unique packaging. I wanted to create a package true to the retro nature of the video. We collected a bunch of old VHS tapes from thrift shops and relative's basements. 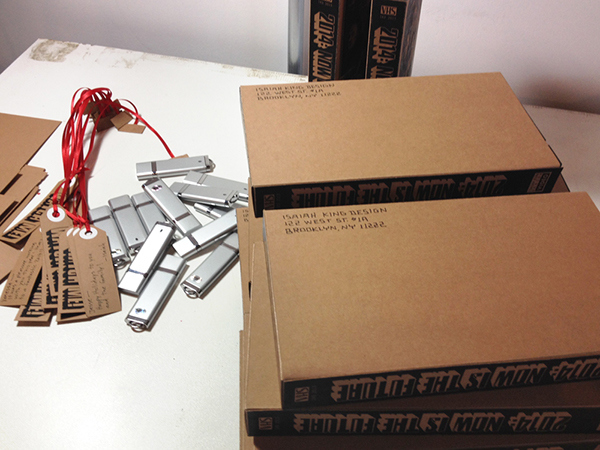 After cleaning off all the labels we cut into the top of each tape, just large enough to insert our USB drives. 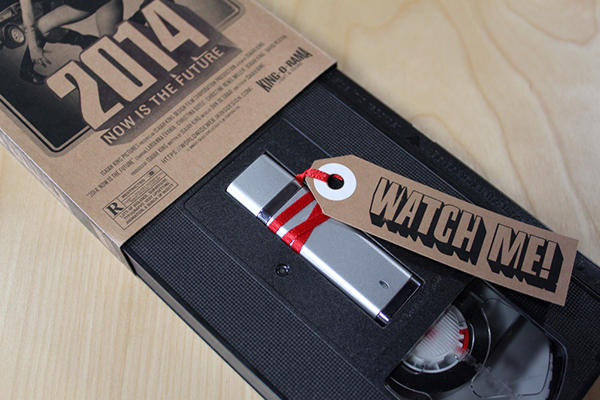 The USB drive contained the movie file of our holiday message/trailer. Each package contained a hand-written personal note on the flip side of the "Watch Me!" tags. By pulling apart the old VHS sleeve is was easy to make a template to make our own boxes. A color version of the VHS cover now serves as a digital poster. The back of the box was left blank so addresses could be hand-written and it became a self-mailer. Packages sealed and ready for the mail! 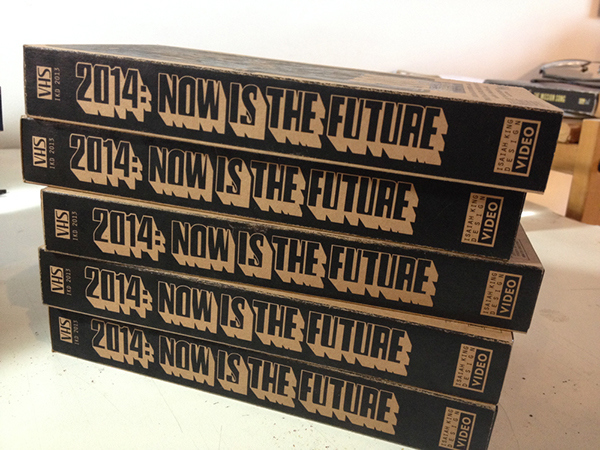 A year-end client appreciation gift about the future and creative collaboration.